It's almost 2011, and I only have three and a half more days to stop drinking soda if I am going to avoid starting the year with already broken resolutions. I am already concerned that this may be a bit of a challenge for me. I did it once before, and I think I lasted about a year. 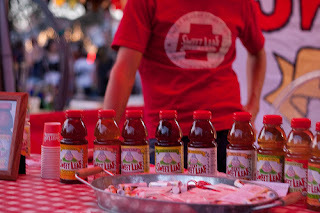 However, since we moved to Austin I have been deprived of sweet tea, which was the only thing getting me through it. 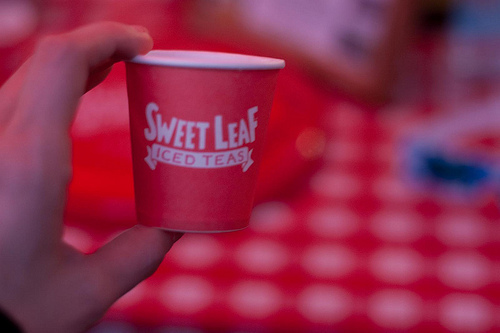 I love Sweet Leaf Tea which is an Austin brand, but I can't find it everywhere I go. Also, it doesn't seem to be sold in bulk anywhere (I think I will research that further). Somehow my husband managed to quit drinking soda cold turkey several years ago, so the bar is set high. I do plan to live up my last few cola drinking days with trips to P. Terry's for my favorite Dublin Dr. Pepper and Mexican Coke. I wonder if I have to consider root beer as a soda beverage. They have Maine Root Beer on tap at Alamo Drafthouse and it is delicious! Hope your resolutions are coming along!